Phi Displays are the leading stockist of Flight Cases in UK. 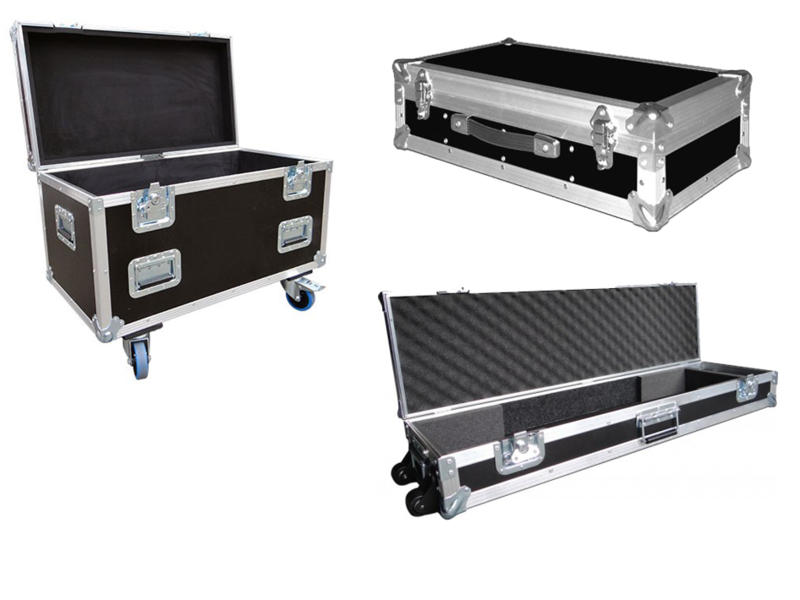 Our range of Flight Cases are designed to ship your displays worldwide in safety and comfort. A Flight case provides on the road protection for your valuable equipment. Our flight cases are tough, rugged and built to last. Designed using the latest CAD technology and manufactured using high quality materials, our flight cases will ensure the that your delicate items are safely stored and transported to your event venue. Bespoke flight cases from Phi Displays can be designed and custom built based on your specification. We offer a full set of features such as doors and hatches, lift out trays and pull out drawers, rack mount fittings, castors and even an electronic lift system for automatically lifting a plasma screen out of the flight case. If you are looking for stylish and durable Flight Cases in UK, at competitive prices, email sales@phidisplays.com. © PHI Exhibition Displays Ltd.